IMMEDIATE – Deputy Sheriff Position, Sheridan Co Sheriff’s Dept. The Sheridan County Sheriff’s Department is accepting applications for position of Deputy Sheriff. We are a small agency serving the citizens of Sheridan County. Sheridan County seat is located in Hoxie, KS. Sheridan State Lake is located just 11 miles east of Hoxie, that we provide patrol/enforcement. We have two school districts (Hoxie and Selden) within our county. Sheridan County is 896 sq. miles and has a lot to offer, great hunting and fishing, school systems, athletic programs, recreational sports, 4H program and one of the best home owned carnivals known in NW Kansas. Highly motivated and ethical individuals are encouraged to apply. The selected individual will be required to work days, nights, weekends and holidays as scheduled and reside in Sheridan County by the start date. Applicants must be at least 21 years of age, possess a valid driver’s license, be in good physical condition, and have no felony, serious misdemeanors, or domestic violence convictions. They must be a US citizen, possess a High School diploma or GED, and complete a drug screen, physical exam, and psychological exam. Certified Law Enforcement are preferred, but non-certified are encouraged to apply. 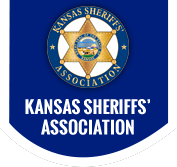 Applications may be obtained at the Sheridan County Sheriff’s Office at 940 8th Street, Hoxie Kansas, 67740. They may also be requested via email at sdso@ruraltel.net. For any further questions please feel free to call the office at 785-675-3481.